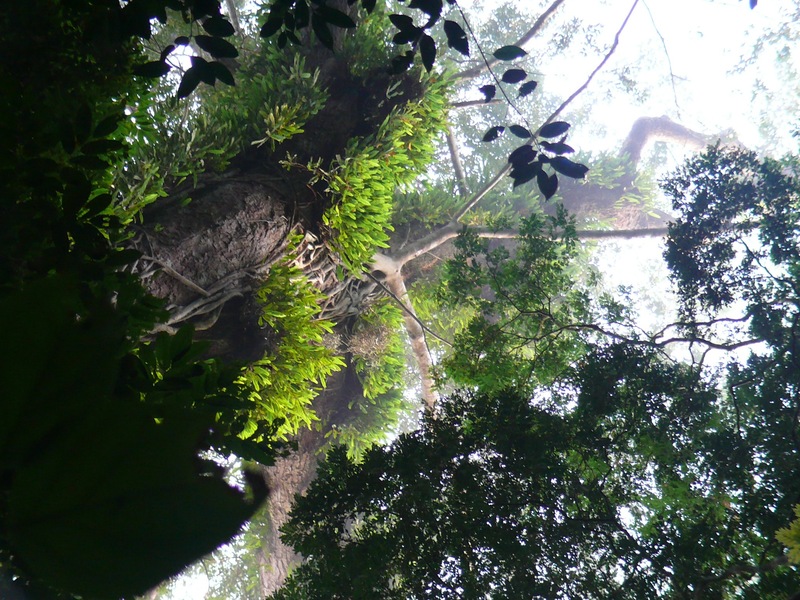 The Lomako Forest consists of the area between the Lomako and Yekokora Rivers and consists of approximately 3800 km2 of polyspecific evergreen rain forest with some areas of dense undergrowth, permanently flooded swamps along the major rivers, and seasonally flooded swamp forest. 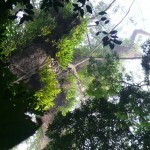 The Lomako Forest contains two main study sites: Iyema and N’dele. 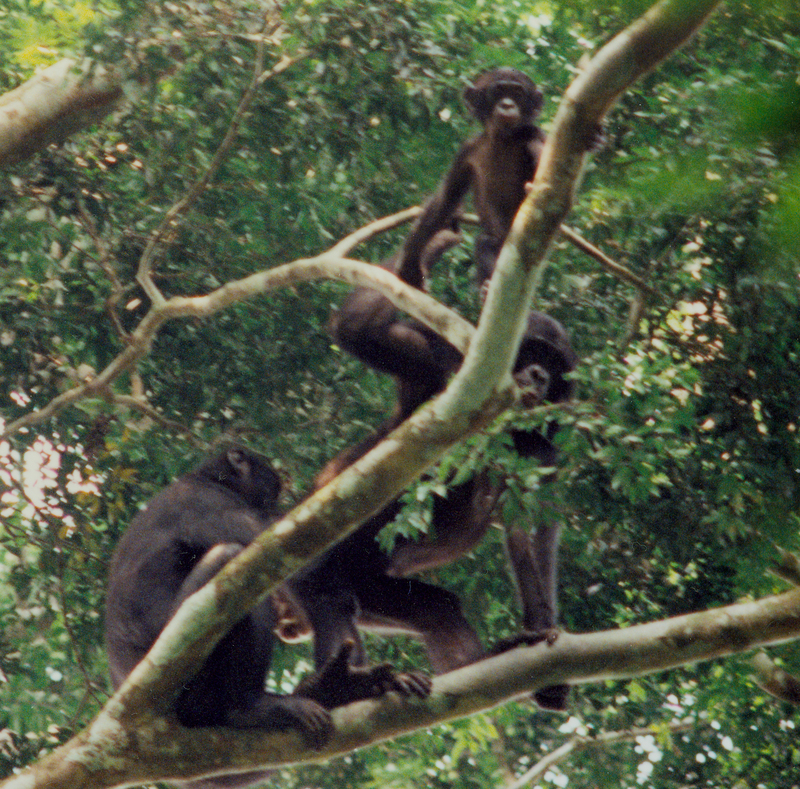 The Iyema study site is home to the Bonobo in Situ project of Linda Van Elsacker and Jef Dupain of the Royal Zoologi cal Society of Antwerp, Belgium since 1995. This project and its researchers have always maintained close cooperative ties with the PI’s research at N’dele. Two research projects have been based at the N’dele site: The Lomako Forest Pygmy Chimpanzee project that was started in 1973 by Dr. Noel and Alison Badrian and followed in 1980 by Dr. Randall Susman, SUNY Stony Brook, USA. This site was also the base for Project Pan that was started in 1990 at Isamondje within the N’dele study area by Drs. 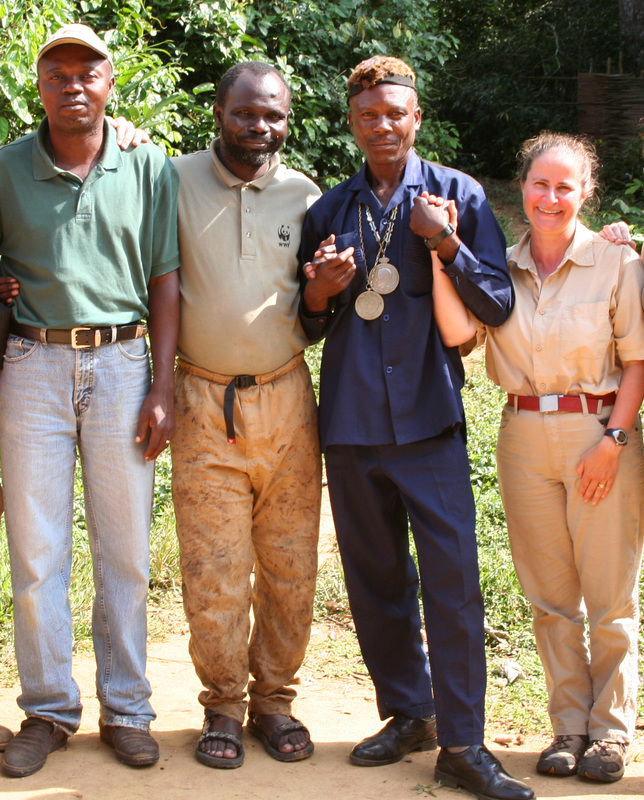 Gottfried Hohmann and Barbara Fruth of the Max-Planck Institute, Germany who were interested in studying our already habituated bonobos and followed the Eyengo community for a while. Project Pan relocated later Lui Kotal in the Salonga National Park. 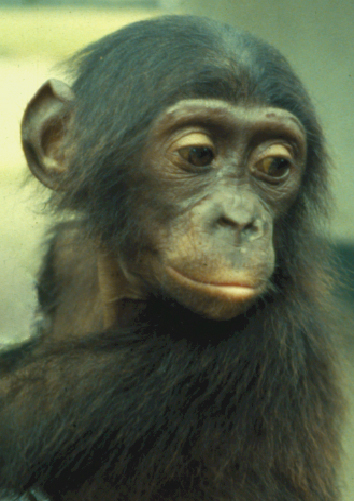 I began working with the Lomako bonobos at the N’dele study site in 1983, working first with Noel Badrian and later with Nancy Thompson-Handler and Richard Malenky. The N’dele study site, located at 0 50’ N, 21 05’ E, has a long research history on two of the communities of bonobos: the Bakumba (originally called Hedon) community and the Eyengo (Ranger) Community. In addition, we followed a temporary group of immigrating females during the 1980s. Research at the site was halted with the civil war in 1998 and I returned to the site in 2005. The Lomako bonobo communities have varied in size over the years but at maximal size consisted of (not including infants): (1) Bakumba community (observed 1983 to 1995) 8 adult males, 1 sub-adult male, 4 juvenile males, 14 adult females, 5 adolescent females, 4 juvenile females, (2) Eyengo community (observed 1983 to 2009) 5 adult males, 3 sub-adult males, 1 juvenile male, 9 adult females, 2 adolescent females, 1 juvenile female, and (3) the splinter group (observed 1983 to 1991 at which time it integrated into the Bakumba community) 5 adult males, 1 adult female, and 4 adolescent females. 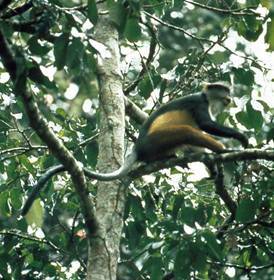 The Lomako Forest is also home to a wide variety of animals including 9 other primates. 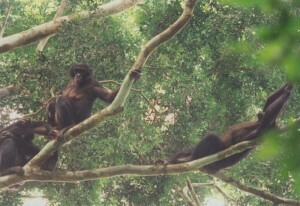 Groups of black and white colobus, black mangabeys, red-tailed monkeys, and Wolfi’s guenon are common in the forest during the day and dwarf bushbabies and pottos at night. There are swamp monkeys and DeBrazza’s monkeys in the swamp forests along the large rivers and red colobus just up river from the N’dele camp. There are six species of duikers and lots of bush pigs in the forest, and sitatunga and chevrotain in the swamp forests. It is not unusual to see evidence of leopards and golden cat, giant pangolins diggings are everywhere and forest elephants are have returned after being driven away by hunting along the river in the 1970s. 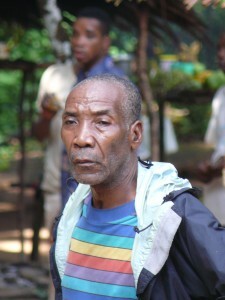 The Lomako Forest Bonobo Project would not exist without the support and help of the local people. We have worked closely with two families for decades. 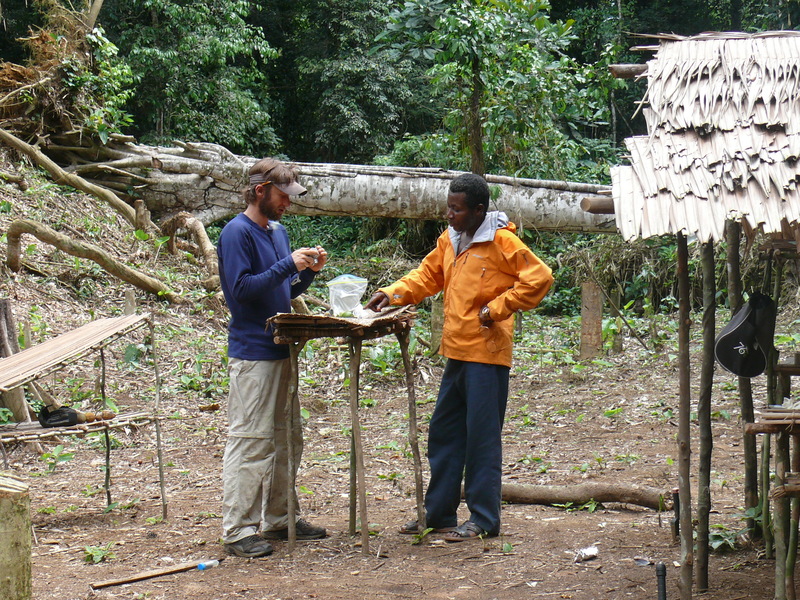 Papa Bosco (right) learned from his father, Papa Maurice, to be a shaman with unparalleled knowledge of the forests and plants and has in turn taught his sons. Likewise, Papa Te rrible (left, with granddaughter) learned from his father Papa Mark, to hunt and he has passed his skills to his sons. The guides and trackers do so much more than stop us from getting lost in the forest! 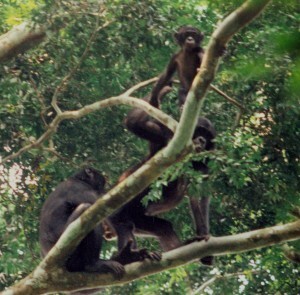 We have learned so much from them on the ways of the forest, the plants, animals and especially the bonobos. 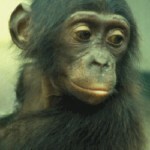 Their commitment to protect the bonobos and the forest have turned away poachers and kept us safe for years. 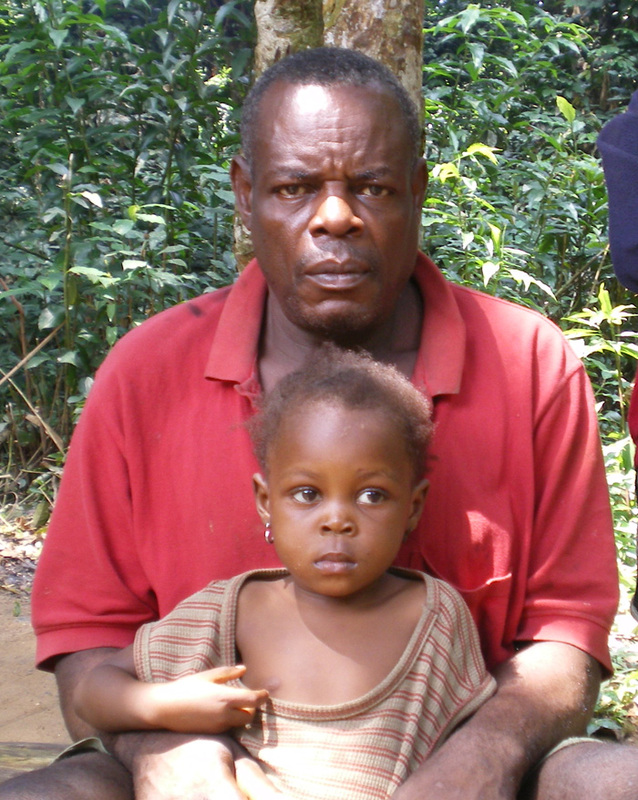 We could not continue our research without them and the people of the Lomako area; they make life in the forest a truly rewarding experience. This site is maintained by the author for personal and professional communications as authorized by the University of Oregon's computer use policies. Unless otherwise indicated, the content and opinions expressed on this web site do not necessarily reflect the views of nor are they endorsed by the University of Oregon or the Oregon University System.